Achieving and maintaining a high billable utilization rate is the holy grail of most IT/MSP, Physical Security and Audio Visual systems integrators and technology solution providers. And it should be – since most technology solution providers don’t have much control over low hardware margins, increasing billable labor utilization is an opportunity to directly influence higher professional services margins and company profitability. But there are frequent misunderstandings about the “best” best practice approaches to managing and increasing average billable hours in order to maximize billable utilization. Billable Utilization Myth #1: Employees aren’t working hard enough to achieve higher billable utilization targets. Many organizations view employees who are not achieving their billable utilization targets as people who aren’t working hard enough and need to be “motivated” to work harder and/or more effectively/efficiently. Well, yes and no. Employees do need visibility into their billable utilization results and to be held accountable for achieving their billable utilization target rates, but that’s the start of the conversation, not the end. Billable Resource Utilization Best Practice #1: Track where the non-billable hours are going before you blame your employees. 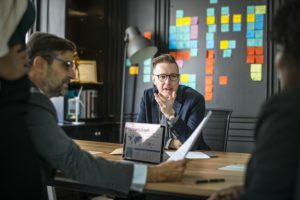 There are four common reasons that employees are missing their billable utilization targets, that have nothing to do with their effort or motivation. This often comes down to how organizations define “billable hours”. This is where company labor utilization analytics become so important. It requires effectively documenting where ALL of the hours (billable and non-billable) from an employees 40 hour work week are going. Support Contract Hours: Technical resources also provide services that are covered under service contract. These hours are not “billable” at the time, but are in effect “pre-paid” billable hours based on the service contract billing. Undocumented Change Orders: The Sales person or Project Manager decided to ‘throw in’ some extra services, rather than go through a formal Change Order process. Those extra hours that are not billable, but that’s not the technical resources fault. Competency Training: Many technical resources are cross-trained, but most are not equally competent at all of the tasks they have to work on (implementation, testing, cabling, training, etc.). So, if a resource is taking longer than ideal at a particular task that they’re not fully trained on or comfortable with, they may not need additional motivation, as much as they need additional training. Alternately, perhaps these tasks should be reassigned to someone who is more proficient. In all of these cases these resources are providing very valuable and necessary services and ultimately it’s not their fault if they’re being assigned tasks that result in lower billable resource utilization rates. So, it’s critical to track all billable and non-billable time so that the organization can make intelligent decisions regarding whether it’s time to hire dedicated pre-sales or help desk resources vs. using billable field resources for those tasks. The trick here is to ensure that every resource accounts for all 40 hours of their work week, not just the billable time. Otherwise, resources will start to avoid non-billable work assignments, no matter how valuable they are to the organization, just to achieve their target billable utilization rates. Billable Resources Utilization Myth #2: Only focusing on billable utilization once an order get’s booked and the project or tasks start, instead of providing proper resource forecasting & planning runway, to ensure the right resources are available in advance. Some organizations believe that maximizing billable utilization is all about managing work schedules and task efficiency once the project or task starts. Although that is true, it’s equally helpful to provide as much advance visibility into the potential resource requirements for high probability deals in the sales funnel. Resources may have to be pulled off other projects and hours will be lost hopping back and forth between projects. Unplanned overtime, which may or may not be billable, may have to be scheduled. Rushed new hires are put into place and they will be inefficient during their initial ramp up period. Billable Resources Utilization best practice #2: Maximizing billable Resource utilization actually starts upstream in the labor planning & quoting process. All of the issues above will have negative impacts on resources utilization. But if you could provide the professional services manager with 30-60-90 day planning runway – how many hours of which resource types/skill sets will be required based on what’s in the sales funnel, combined with a global resource calendar showing existing work assignments, now your services manager has the information they need early enough in the process to have a fighting chance at maximizing billable utilization. Tying the planned estimates back to the actuals is the final piece of the puzzle an organization needs to have a good method for cycling implementation lessons learned back into the quoting process. If you always quote 5 hours for a task and it always takes 8 hours to complete, no matter how competent the resource assigned the task, it’s not the resource’s fault if those extra 3 hours are unbillable. Billable Resources Utilization Myth #3: Setting uniform billable utilization targets. Some organizations think that setting a uniform billable utilization target (of 80% for example) for all professional services resources and holding employees accountable to achieving those targets is a solid approach. But the real outcome the organization is trying to achieve by raising billable utilization, is achieving higher professional services profitability and overall company profitability. That is not always achieved solely through setting a uniformly higher billable utilization rate across all resources. Billable Resources Utilization best practice #3): Think about the types of services you’re offering, not just the utilization rate. Increasing billable resource utilization effectively increases the margin for a particular resource for the month. But the services margin is also affected by billing rate for that resource vs. the loaded cost rate for that resource. For example, a more experienced resource that you’re paying a higher salary to may be performing services at a higher billing rate ($250 an hour for design or consulting). They may only need to achieve a billable utilization rate of 55% to break even and 70% utilization to be very profitable. However, a less experienced resource earning a lower salary is being billed out for commoditized services ($95 an hour for cabling or basic installation). That resource will need a much higher billable utilization rate of around 70% just to break even and 85%-90% utilization to generate a reasonable profit. So, instead of a one-size-fits-all billable utilization target, it is ideal to determine your professional services target margin per resource type, or group (project managers, installation, training, or field by level) and then calculate the required billable utilization rate to achieve the desired professional services margin for that particular resource type. In simple terms, doing less work (lower utilization) of a more specialized service type at higher billing rate may yield higher overall professional services profitability rather than delivering commoditized (lower priced) services at a higher utilization rate. Should your organization have a target billable utilization rate? Should organizations measure resources against that target billable utilization rate? Yes, of course. Does increasing your billable utilization rate directly impact profitability? Absolutely. But there are other aspects of resources utilization like pre-sales activities, post sales support activities, training and planning that are equally important to manage in order to maximize billable utilization.